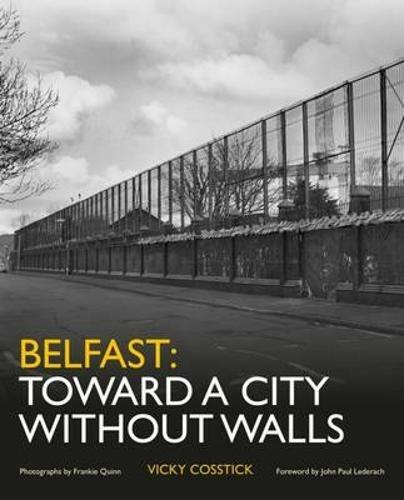 In Belfast: Toward a City Without Walls Vicky Cosstick tells the story of Belfast s 100 sectarian walls and interfaces, now the last in Europe, which remain fifteen years after the Good Friday Agreement of 1998, and she asks for how much longer these physical signs and symbols of sectarianism and the Troubles will disfigure the cityscape.The walls are important as both memorials to the conflict and a reminder of the unfinished nature of the peace process; however, in May 2013, the First Minister and deputy First Minister of Northern Ireland made a commitment to bring them down by 2023. This book tells the compelling stories of the complex network of people and the different communities and agencies that are involved in maintaining peace at the interfaces and working towards a city without walls, and draws an intricate picture of how peace is being worked out in the current life of the city.This uniquely researched portrait of a post-conflict peace process provides a real time picture of the complex process by which constructive change is happening.Fascinating in their variety, the walls and fences at the center of this story are illustrated by the evocative and insightful photography of Frankie Quinn. REVIEWS "Her book examines how progress could be made through dialogue, regeneration, through art and architecture, with the help of the communities, the former paramilitaries, the politicians, the churches, and through business and tourism...Wearing her academic hat she refers to complexity theory which, she says, points to 'small, gradual changes resulting in big effects'." - Gerry Moriarty, The Irish Times"